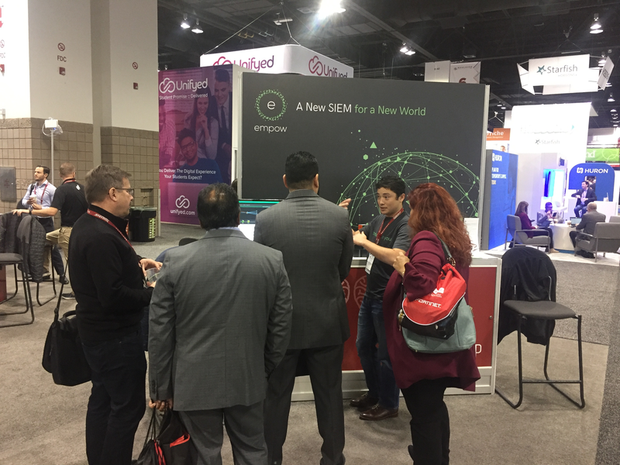 The EDUCAUSE Annual Conference is underway in Denver, and it has already fulfilled its promise to gather academic professionals and technology providers from around the world to discuss the hottest IT issues in higher ed. Cyber security is emerging as a strong conference theme, and with good reason. Students, faculty and staff are constantly on the move, plugging unmanaged devices into university resources from many locations, without restrictions on their online traffic. Higher ed institutions possess massive amounts of data on students, faculty, staff, donors and visitors, including personally identifiable information (PII), financial data relating to tuition fees and student loans, protected health information (PHI), operational data (e.g., grade management systems), and confidential research with third parties. Most institutions prioritize an open campus environment to encourage the continuous exchange of information. 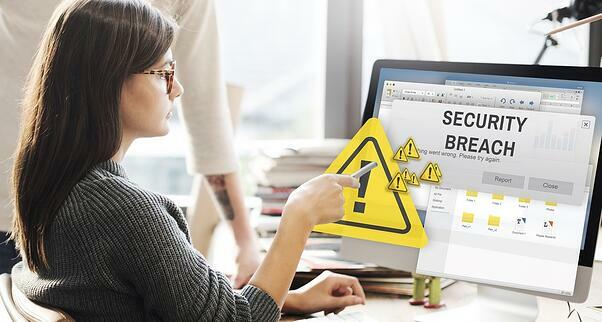 While organizations in other industries can implement strict security monitoring and controls to combat cyber threats, these protective measures can often result in privacy violations for universities and colleges that need to maintain a freedom of information culture. Add in other common IT challenges in higher ed – such as a lack of data governance, a lack of proper network segmentation, and a security alert overload caused by unpredictable environments – and it’s easy to see why many academic institutions struggle to balance user privacy with network security. Are Privacy and Security in Higher Ed Mutually Exclusive? Our higher ed customers all came to us asking the same question: Is it possible to guard student and faculty privacy, protect regulated data and intellectual property, and secure networks from attacks, all while maintaining an open network for the exchange of knowledge and ideas? Our answer has always been yes, thanks to advancements in artificial technology (AI), and, more specifically, natural language processing (NLP). When it comes to threat detection and incident response, security teams (regardless of vertical) usually follow a similar strategy: They comb through logs and events to identify suspicious activity; they seek out relevant information from logs and third-party data sources to try and identify attack intent and its potential impact on the organization; and then, based on that information, they facilitate the appropriate response. While this is an acceptable operating procedure in most industries, higher ed is the exception, because these processes require security professionals to read the raw data – and this introduces the potential for privacy violations. NLP technology enables colleges and universities to get around this hurdle, because it equips machines with the ability to read and understand structured and unstructured data, and then draw conclusions from it, including deciphering attack intent. Amazon’s Alexa is a great example of how NLP works. The AI processes behind Alexa enable her to know how to read the human voice and understand the intent of what a person is asking. Based on that, Alexa answers in near real-time. NLP in cyber security works in much the same way. Instead of reading human voices, NLP algorithms read and understand raw data, and instead of determining the intent of a question, it deciphers the goal of an attack and optimizes threat response based on intent. With automated threat detection and real-time incident response, analysts can immediately understand attack intent, the associated risks, and what type of prevention or remediation actions are needed, without reading the raw data. And when data isn’t exposed to humans, colleges and universities can uphold user privacy. It’s as simple as that. Use their existing arsenal of security products more effectively, while dramatically cutting “noise” and the number of alerts that require attention from security teams. Achieve full network visibility, allowing enforcement of data governance. Orchestrate and optimize monitoring, investigation and response to meet regulatory requirements, including PCI-DSS and HIPAA. Reduce the burden on security analysts, freeing them to focus on more strategic initiatives that deliver business value. AI and NLP are transforming cyber security in higher ed, but don’t take my word for it – listen to our customers. Click here to learn how the University of Oklahoma is using empow’s AI-driven SIEM platform to enable privacy and security to co-exist, or here to listen to a Bloomberg Radio interview detailing MIT Media Lab’s use of empow. If you’re attending EDUCAUSE, we invite you to stop by our booth (#S2) to learn more about these two use cases and the role of AI in higher ed. The EDUCAUSE conference is a great reminder that cyber security should be top of mind for colleges and universities, but it must remain a year-round commitment. And, thanks to AI, it’s never been easier for security teams to make cyber security and user privacy mutually inclusive priorities.